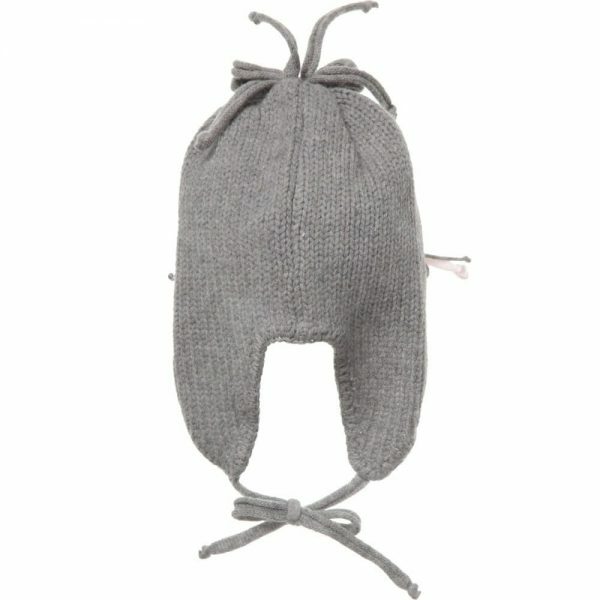 Grey hat by Aletta is well knitted and made from soft wool and cashmere. Made in Italy. It has pretty pale pink flowers on the front. 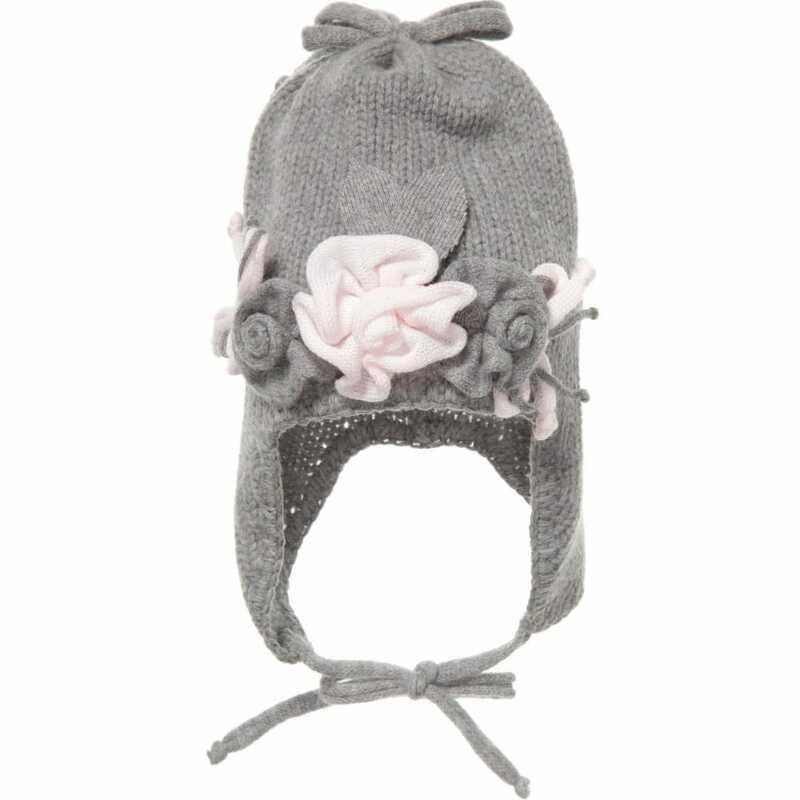 The hat has cute ear flaps and knitted ties which help to fasten the hat under the chin. It fits perfectly and keeps the child warm during the cold weather. The soft wool makes this hat very comfortable to wear. The hat is available in several different sizes for babies at any age from 3 month to 2 year. The hand wash is recommended.